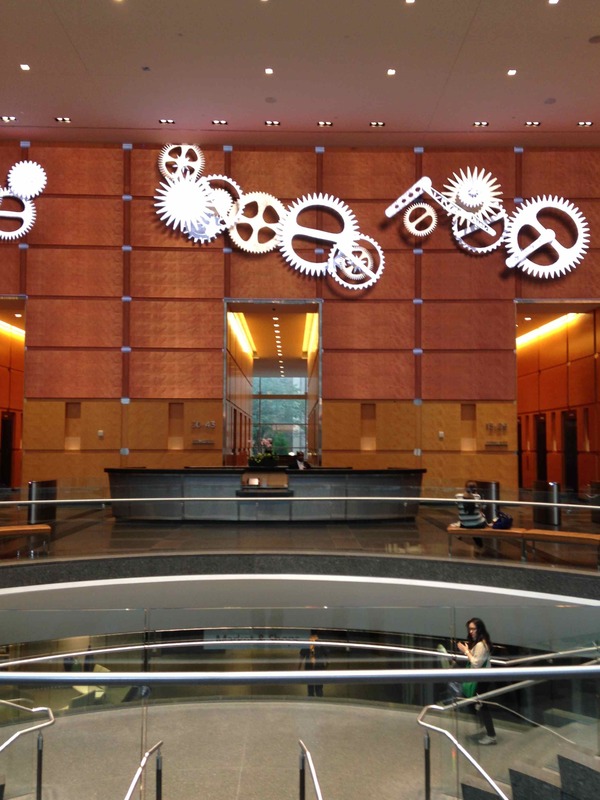 The lobby of the Comcast Building in Philadelphia. Philadelphia-based Comcast, the world’s largest communications company, wants to become even larger by spending $45.2 billion to buy Time Warner Cable and become even larger. It is telling those who must approve this monopolizing move that such a merger would be good for the little guy — the independent channels like RFD-TV and Veria Living. The little guys generally think otherwise. Which leads to another question: why does Al Jazeera, a propagandist site for terrorists, get full distribution? Wonder if Congress is taking testimony about Comcast’s customer service. Honey Badger don’t give a patootie. Honey Badger no longer watchs TV.